Guest Blogger Béatrice Bergemont: February Break Mini Camp on Cohn Campus – The Winter Olympics Comes to ISTP! This year’s February Break Mini Camp on Cohn Campus was a week filled with joy and discovery. The main theme of the week was winter sports, inspired by the Sochi Olympic Games. Other activities gave students the chance to explore the exciting world of the circus, and to learn about science and technology through their favorite sci-fi movie – Star Wars! This eclectic mix of activities allowed each camper to engage with something they loved. Monday: Campers were all excited about the Winter Olympics, so Méryl and Véronique took the opportunity to talk about the origin of the Olympics, and the symbolism of the Olympic rings and flame. 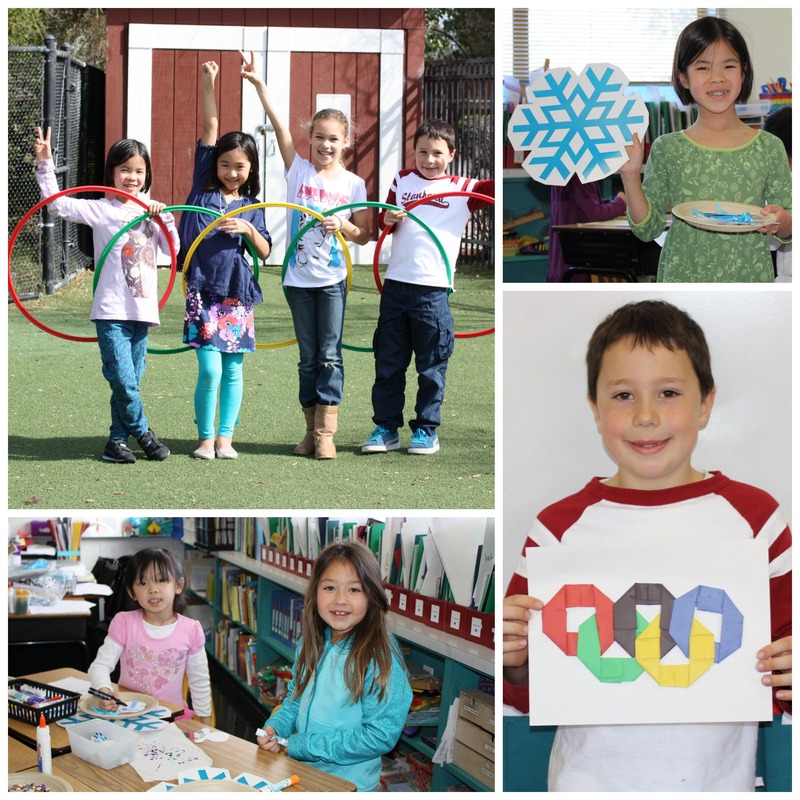 Students created origami Olympic rings and cut paper snowflakes. We also watched short videos about the adorable Sochi Olympic Games mascots: the bear, leopard and hare. Later, we stretched our legs while playing fun games in the Rothschild MPR, including the very popular fox, rooster, and viper game! Finally, we tapped into our culinary skills baked and decorated delicious butter cookies! Tuesday: Today we were excited to welcome Hannah Kahn, who led a circus day filled with fun and challenging circus activities. 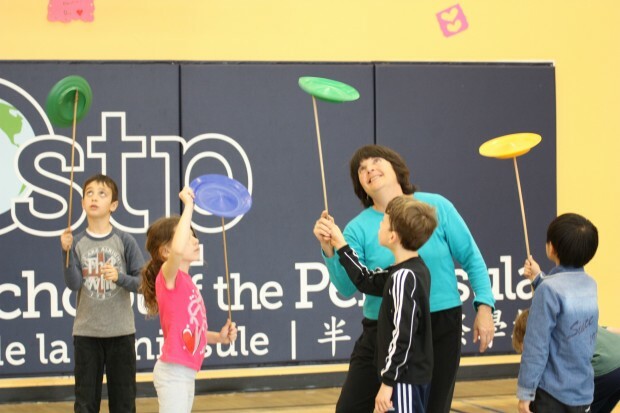 We practiced balance, coordination and tenacity while spinning Chinese plates, throwing ribbons to create patterns in the air, and walking on stilts. Campers also pushed themselves to ride circus pedalos, and juggle balls, rings and scarves! Wednesday: Today was an especially exciting day because we took a field trip to the Star Wars Exhibit at the San Jose Tech Museum. Our young students now know everything there is to know about Star Wars, and I was truly impressed by their passion and knowledge! Campers all had a chance to engage in hands-on design labs, where they defied gravity, engineered droids, and manipulated robots. We explored space travel, robotics, and magnetic levitation. When we returned to school we played with Star Wars Legos, created lovely bracelets with little charms, and ended the day with a Star Wars trivia contest! Thursday: Today we continued to learn about and enjoy the Winter Olympics. We made gold, silver and bronze medals, and built Olympic flames to carry during team relay races. We also made beautiful bracelets, winter mobiles, and pillows. At the end of the day, we enjoyed chocolate and vanilla cakes that we had baked earlier in the day. Friday: On the last day of camp, Cohn Campus students met the Cowper Campus Kindergarteners at Winter Lodge for a special day of ice-skating. An instructor helped the beginners learn to skate, while more advanced skaters organized games and learned new moves and skills. 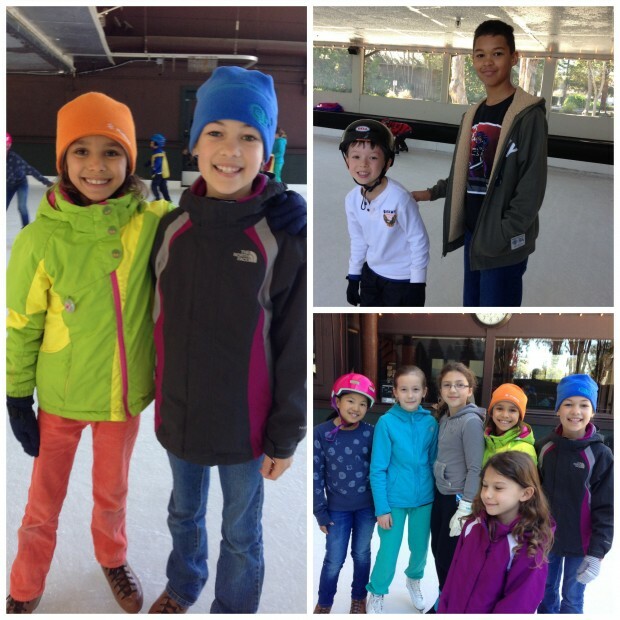 After studying the Olympics all week, many of us felt like little Olympians out on the ice. It was an invigorating and enjoyable field trip! When we returned to campus, we finished all our craft projects and enjoyed hot chocolate with marshmallows! The enthusiasm and spirit of all the campers made this year’s February Break Mini Camp a great success!